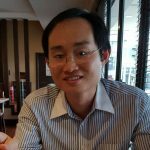 Etika Beverages has intensified its value range trust with the slim down version of Pepsi selling at RM 2.00 (USD 0.48) for the new 1,250ml packaging size at 99Speedmart. 99Speedmart is a minimarket chain with 846 outlets across Malaysia. The new packaging size matches the current Coca-Cola’s pack size of 1,250ml. 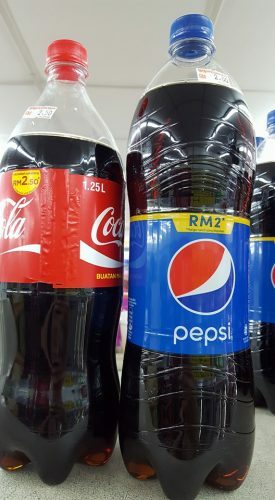 When it comes to the price, the new Pepsi 1,250ml is 25% cheaper than Coke, which sells at a higher price of RM 2.50. 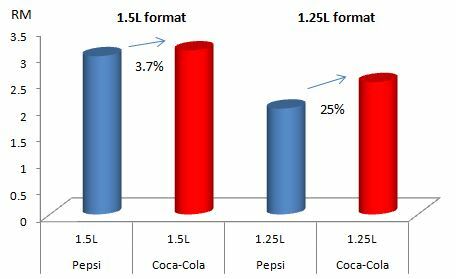 For the standard 1.5L packaging size, Pepsi is only 3.7% cheaper than Coca-Cola, which sells at RM 3.10 compare with Pepsi’s RM 2.99. 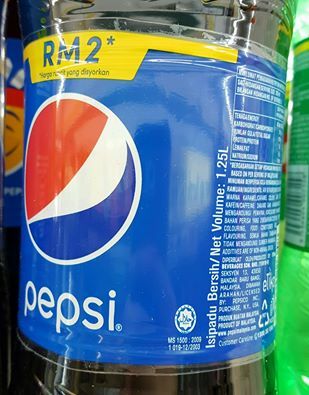 This makes the RM 2.00 Pepsi is a game changer in the value, portion-control segment in the minimarket channel.